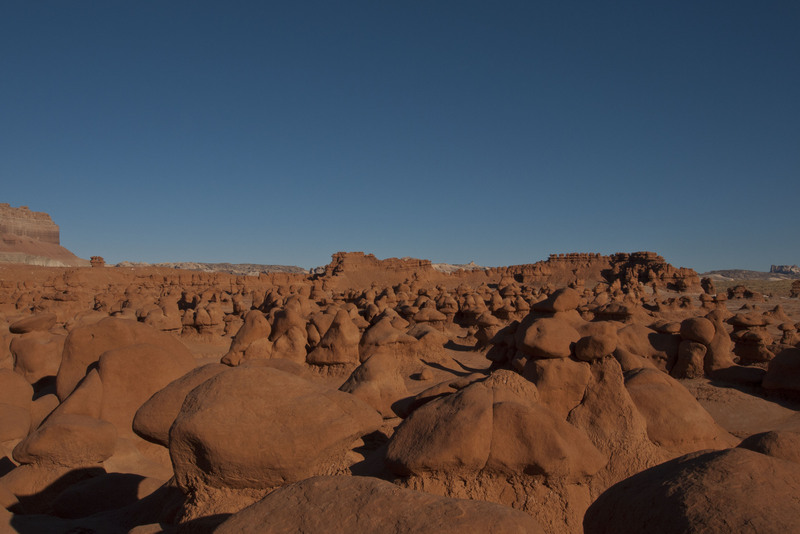 Goblin Valley is a bit of an oddity. 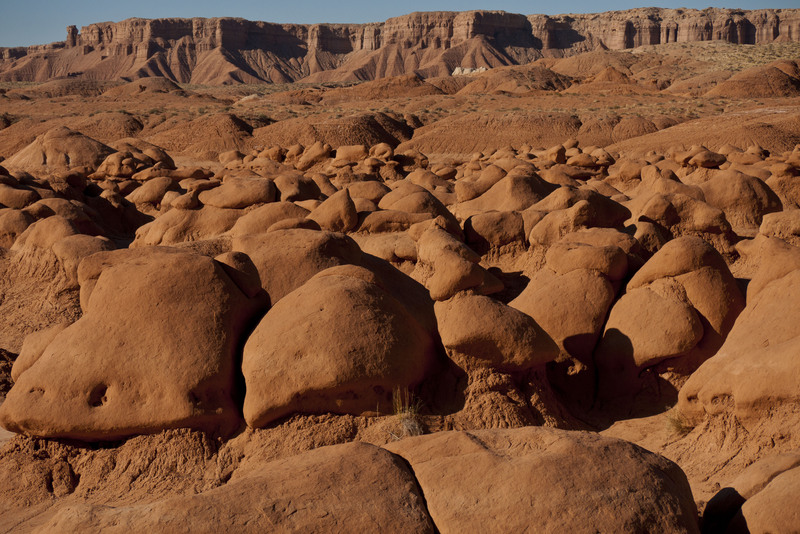 It is perched on the edge of the San Rafael Swell and is an other-worldly valley filled with strange formations that with a bit of imagination look just like ossified goblins. 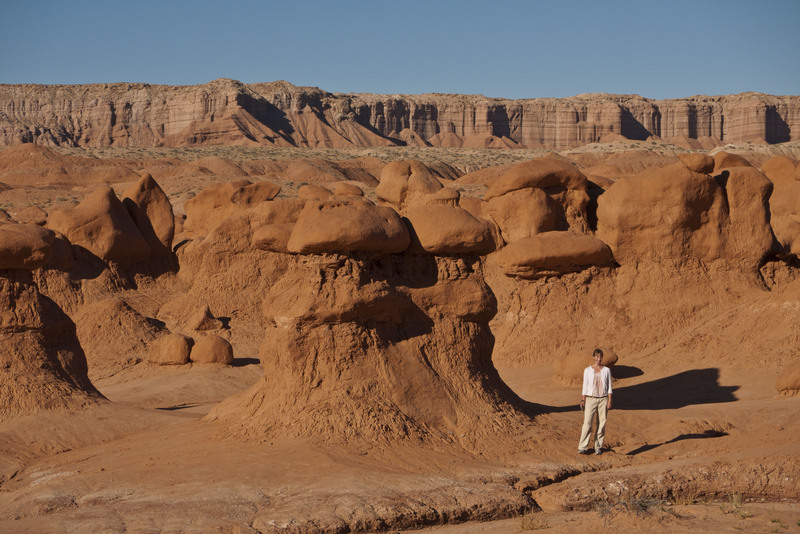 This was the location for an alien planet in the film Galaxy Quest and it certainly looks like it could be on another planet. The viewing area was fairly busy but we went hiking into the valley and there was virtually no one else down there – it seems to always be the way, people seem so reluctant to move more than 100 yards from their cars which suits us just fine. There is a campground in the park but when we arrived it was full, however the Ranger on duty tipped us off that there was a great place to free camp only a few miles away. 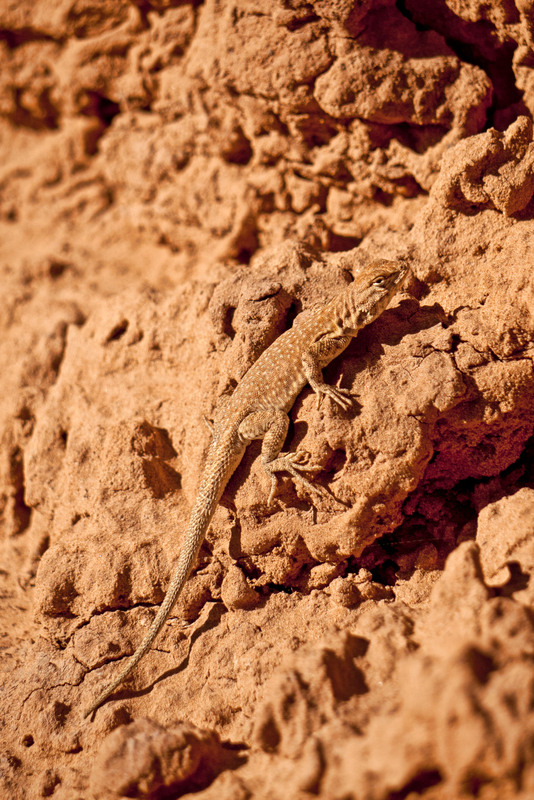 We found a great spot overlooking part of the San Rafael Swell and settled in for the night.